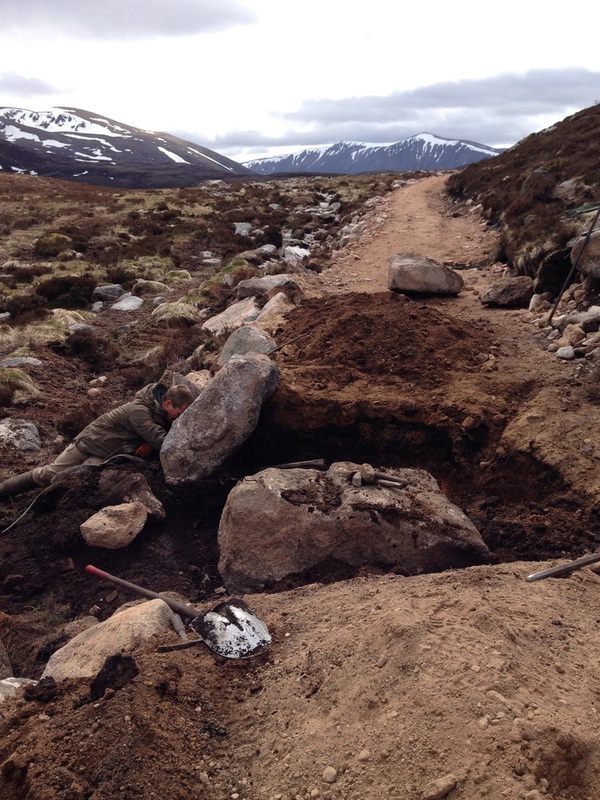 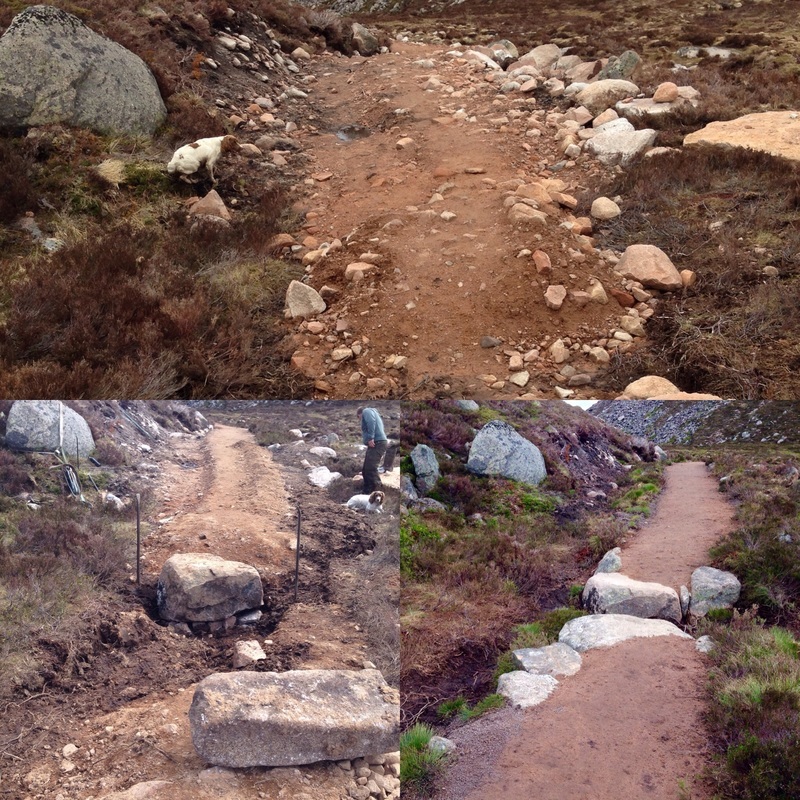 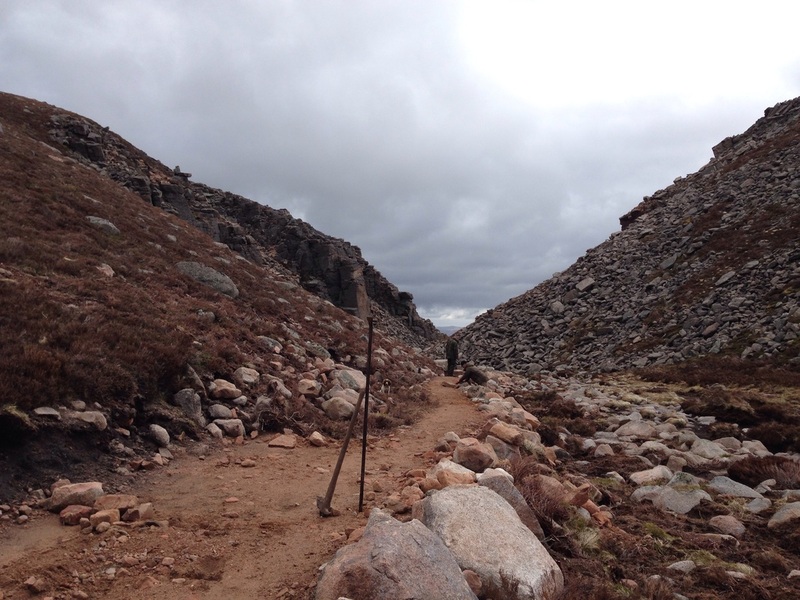 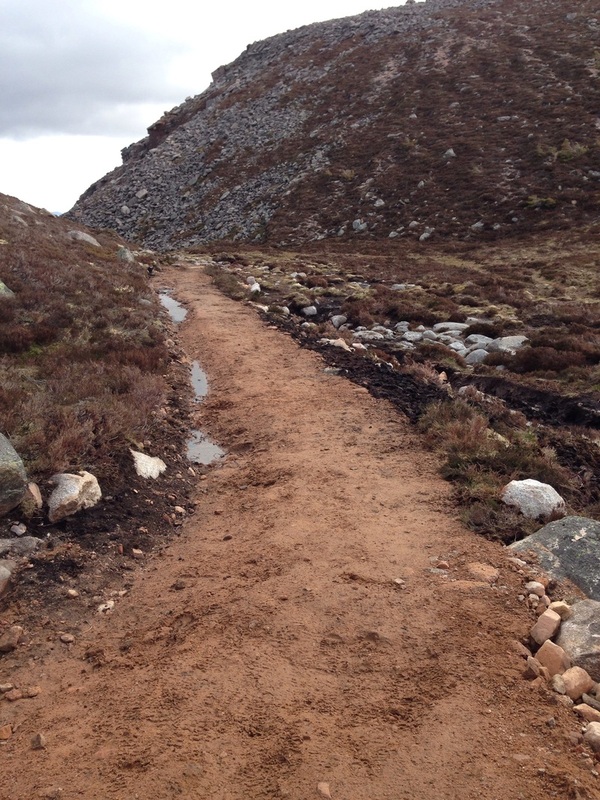 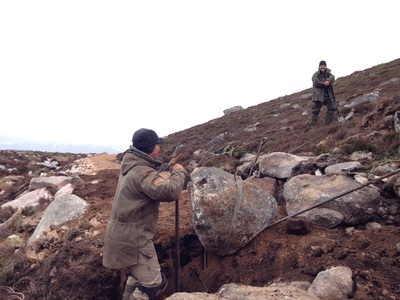 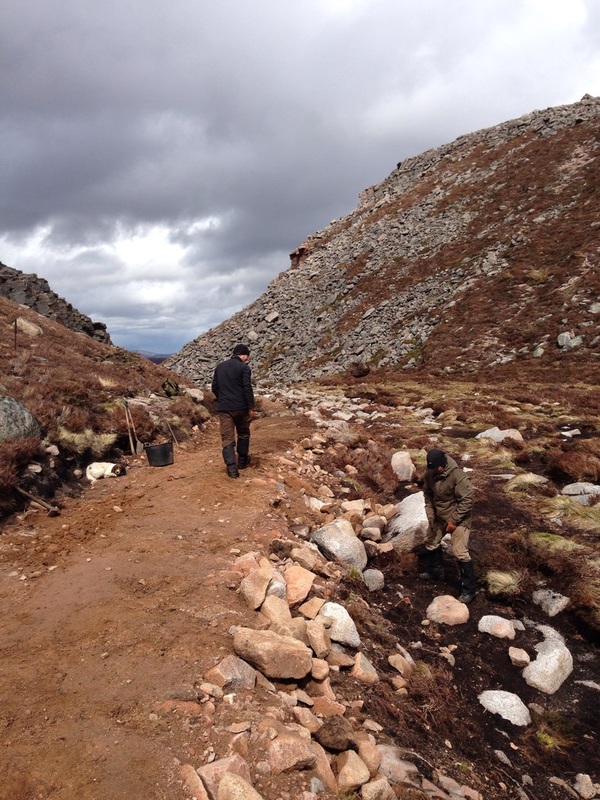 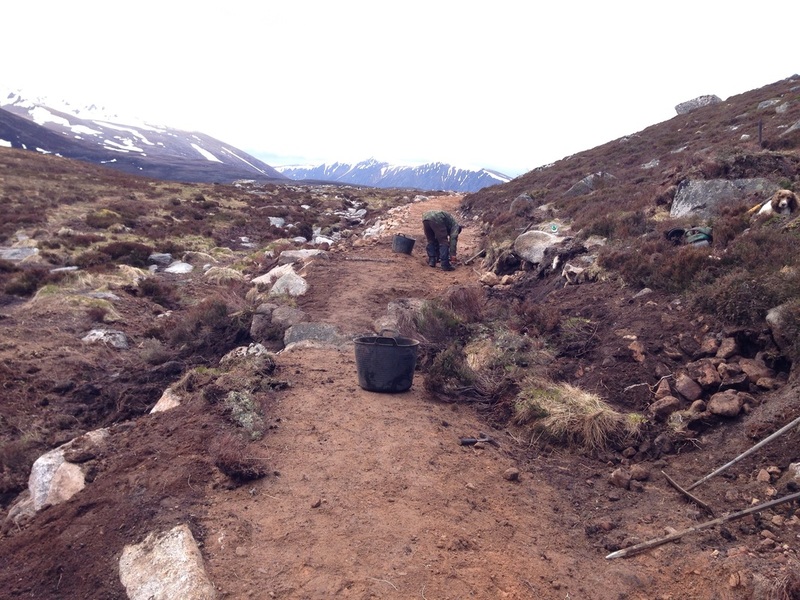 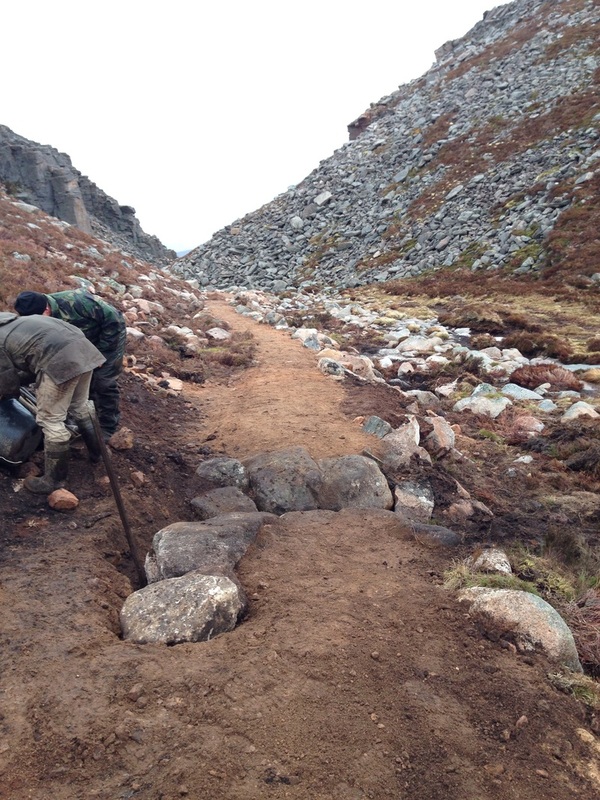 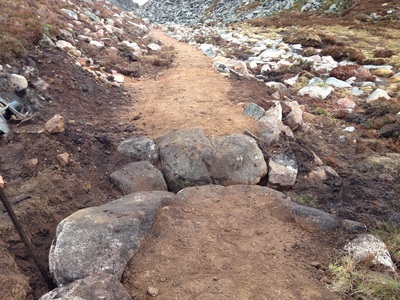 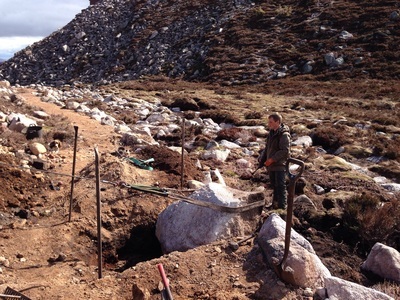 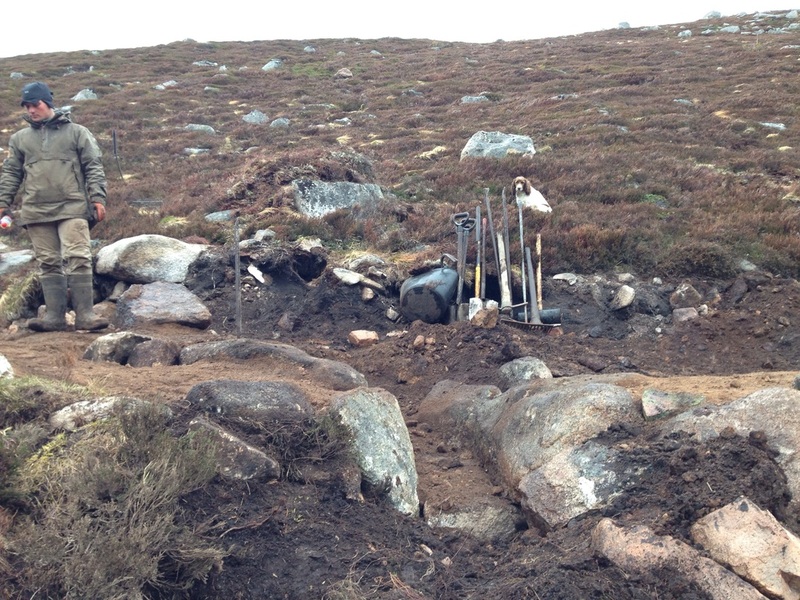 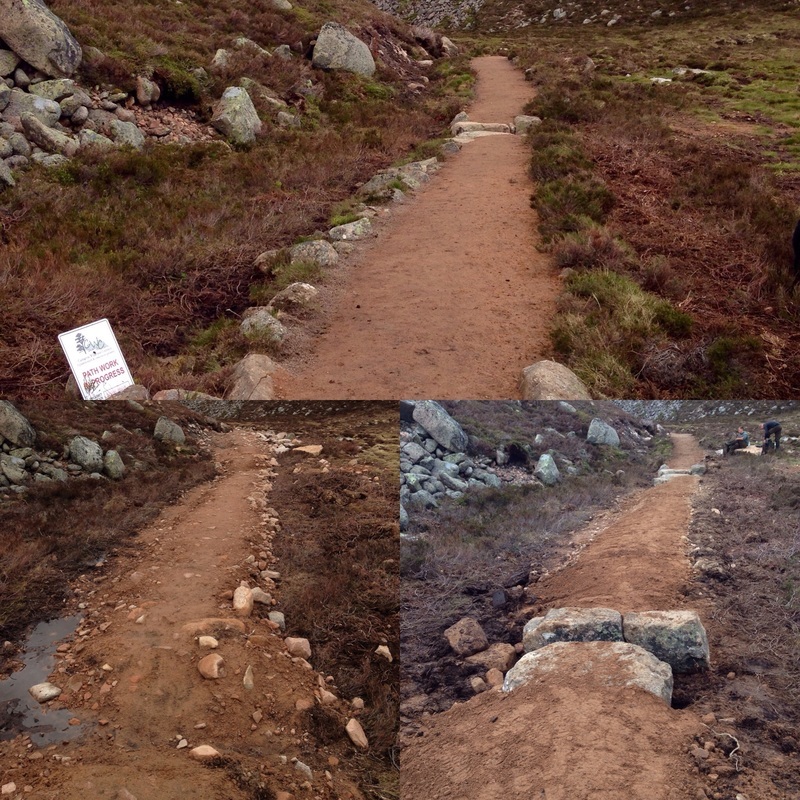 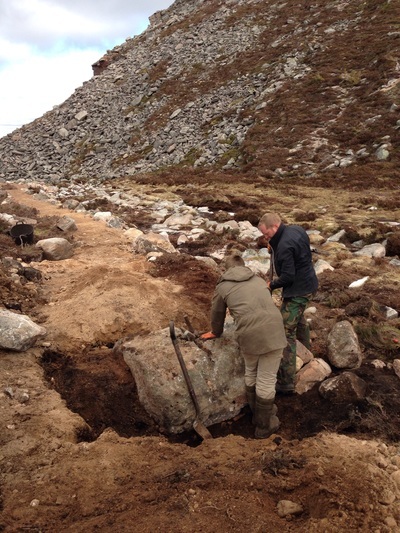 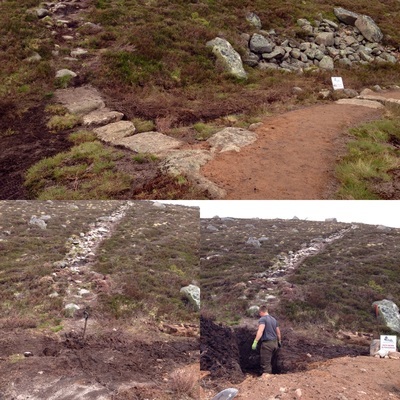 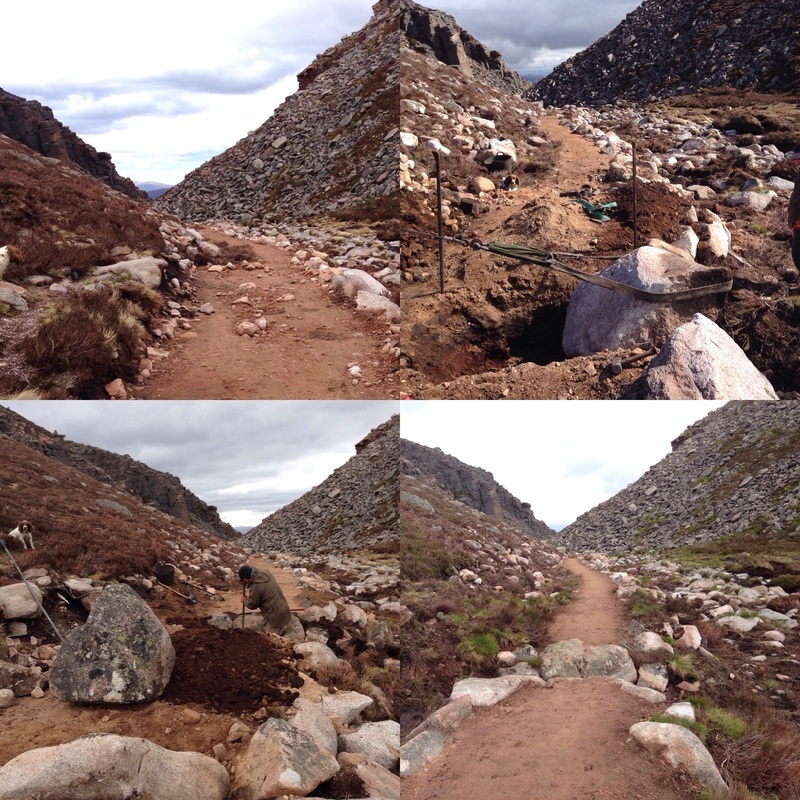 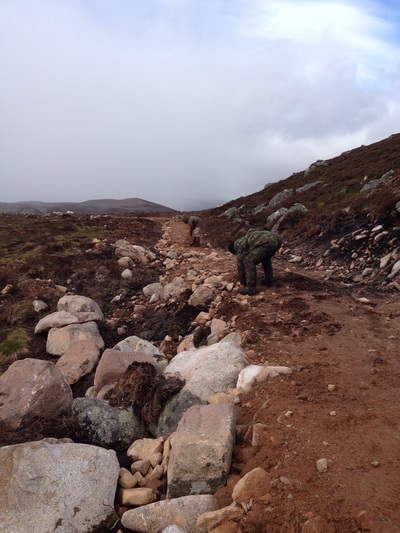 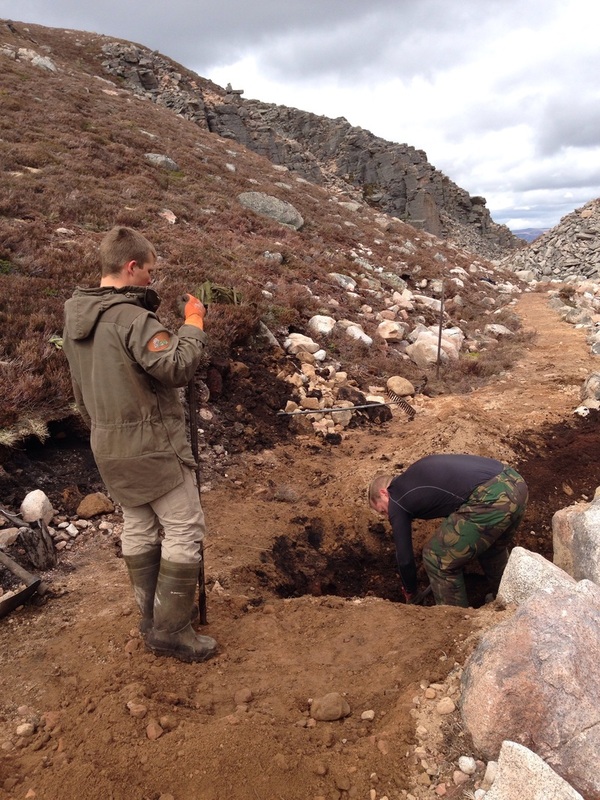 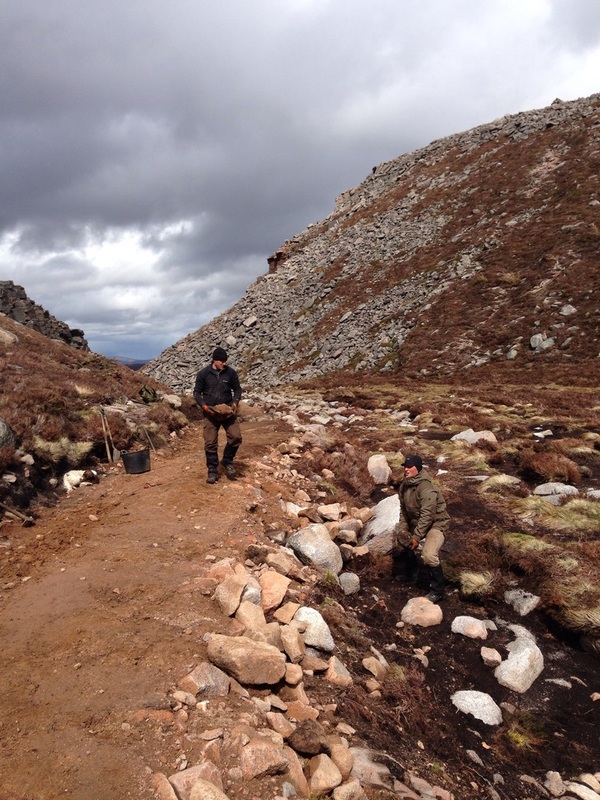 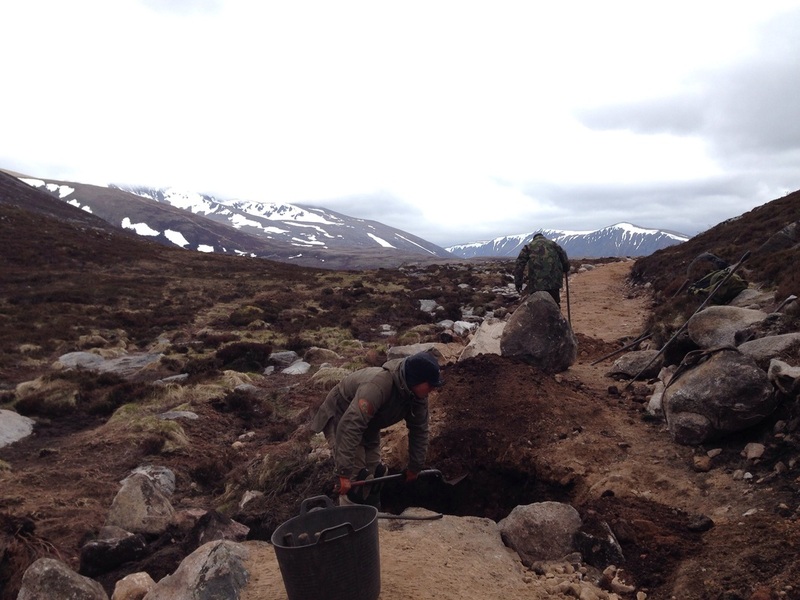 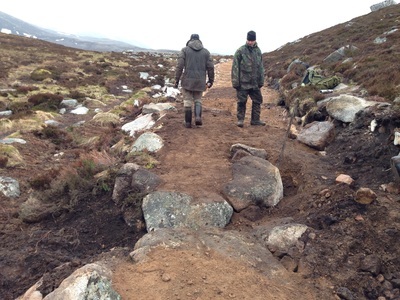 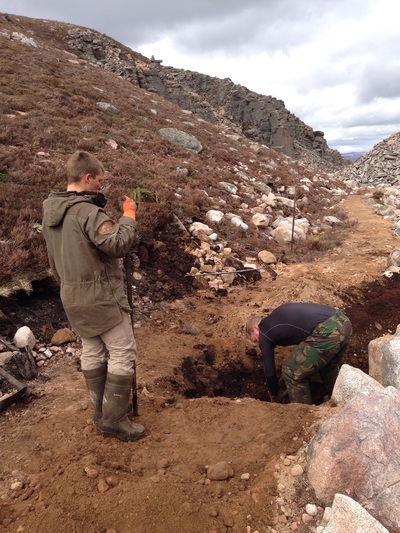 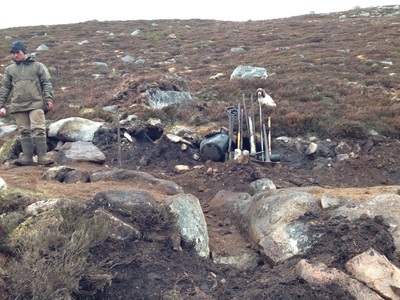 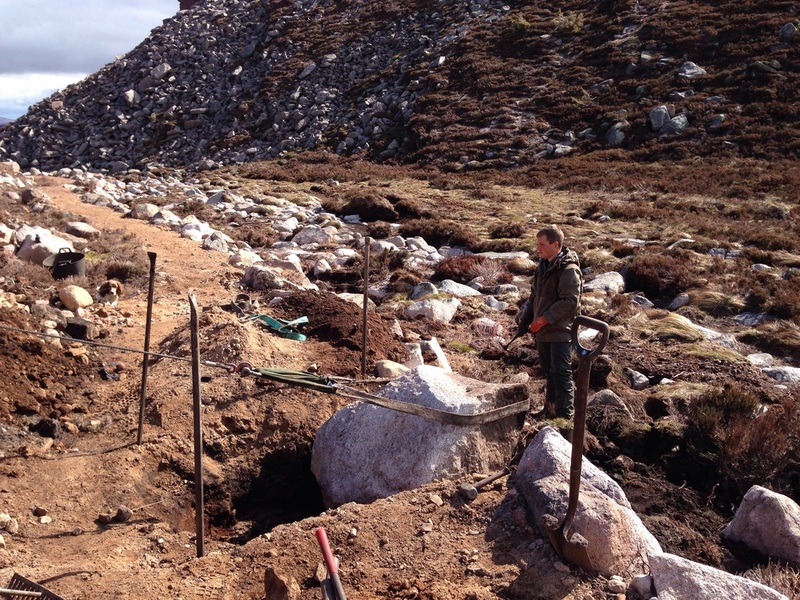 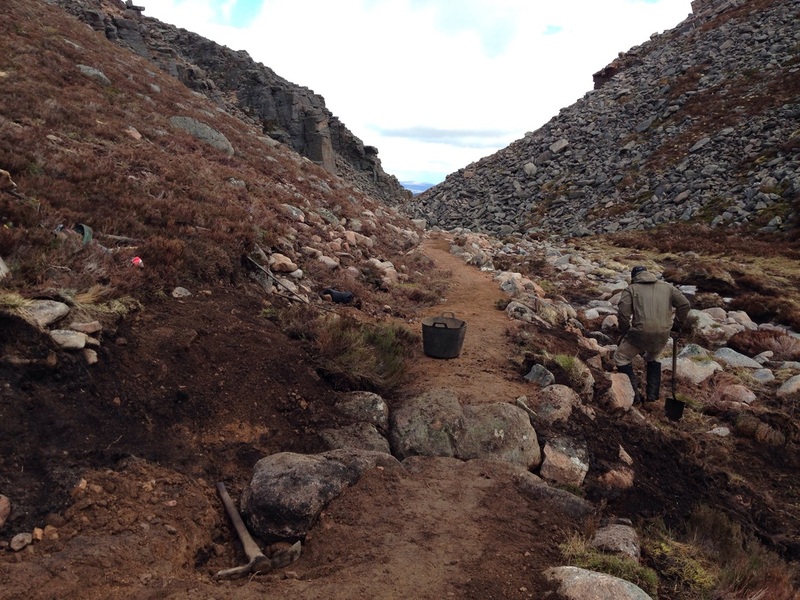 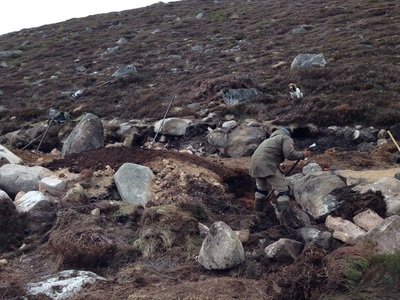 Once the snow had lifted and we were able to move back higher into the Cairngorms, COAT asked us to head up to the path above the Gap to finish off the machine built path that hadn't been completed the previous year due to winter setting in. This would require us to consolidate the path, build stone drainage features and to re-surface and then landscape the path edges. Because a machine had been used previously this would require us to move huge quantities of stone and material around to complete the works.